A foreign firm of opinion research, Williams and Associates has already carried out an opinion poll in January 2019. That research ascribed 45% to the presidential candidate of PDP, Alhaji Atiku Abubakar while incumbent President Muhammadu Okechukwu Buhari scored 33%. The implication of these results is that, all things being equal, Atiku Abubakar will emerge winner in the presidential election. However, this prediction can be vitiated by rigging, vote buying /selling and involvement of foreigners from Niger Republic who participate in cross border voting on election days. Again, will President Buhari afford to act the statesman by conceding defeat like Goodluck Jonathan did 2015? The direction of victory in the 2019 general elections in Imo state will be determined to a great extent by the prevailing socio-political environment. 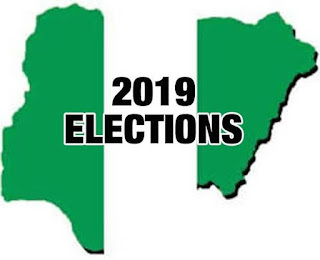 Unlike previous elections when the electorate voted parties without caring about the flag bearer, the coming elections will be quite different for obvious reasons. In the first place, it is very difficult to identify any political party in Imo state following the crises which trailed their primaries. For example, what goes as APGA is a combination of APC’s coalition, Senator Araraume’s Destiny organization and a handful of APGA members. You will rather APGA scattered in other parties like SDP, Accord, ZLP, ID, etc where former aspirants decamped to along with their followers. Likewise, the PDP currently features only followers of Emeka Ihedioha after The True Democrats, Ikedi Ohakim and Senator Hope Uzodinma left with their followers. If Senator Samdaddy Anyanwu’s supporters, who are in PDP but not for PDP is something to consider, it will be discovered that what is known today as PDP is a shadow of its former self. The same goes for APC which is now found in APGA and AA. All these go to show that no political party exists in its former real name and character. This being the case, voters are most likely going to elect candidates based on their personal recognition. Vote selling/ vote buying is another factor which may affect voting patterns. The most dangerous aspect of it is that most voters would want to sell their votes. And in a situation where governor Rochas Okorocha said that he has released N7.5 billions to fund repair of infrastructure, no one can accurately guess if the money wouldn’t end up in buying votes. The third factor which will affect victory is the new word ‘atikulation’ in our lexicon. The coming of Atiku as PDP presidential candidate is something that almost every Imolite supports irrespective of party affiliations. Owing to this popular acceptance, PDP wordsmiths and propaganda machinery manufactured the word ‘atikulation’ and this seems to have intoxicated the voting public to a frightening frenzy. From the look of things, atikulation mania may result in an election tsunami that can sweep away national assembly candidates of other parties. Contextually, atikulation is a situation where in the course of voting PDP’s Atiku, the unenlightened ones may end up voting for PDP all through without knowing it. Bearing in mind the level of political enlightenment among our illiterate electorate, ‘atikulation’, the craze to elect Atiku Abubakar as president, will surely rob many national assembly candidates of other parties of their votes. A similar scenario obtained in 2011 when virtually all the APGA House of Assembly candidates were voted by default in the frenzy of voting for Rochas. Election rigging either with the connivance of INEC officials or security operatives is another factor which may affect the turn of events. Nevertheless, the following predictions are purely premised on a condition of free and credible election where votes will count. The zone is parading a large number of senatorial candidates. So far, what has been noticed is that a majority of them especially the money bags among them are not involved in enlightenment campaigns. This attitude continues to raise questions as to whether they are serious contenders. It is possible that they are sparing their arsenals for vote buying and rigging. So far, only two candidates have conducted visible campaigns. This development leads us to believe that the battle is clearly between the two. The two candidates are Chief Mike Nwachukwu of APGA and Hon Ezenwa Onyewuchi of PDP. The PDP candidate is an incumbent member of Federal House of Representatives and in his eight year. Notwithstanding the absence of vibrancy on his part in legislative activities, he has been able acquit himself in the area of empowering his constituents. As we all know, only a small percentage of party members benefit from empowerment programs. Hon Ezenwa Onyewuchi is a victim of public dissatisfaction with his empowerment initiatives. It is in the light of this situation that both members of his party and constituents lay an avalanche of complaints against him for non performance. He may lose votes when this public discontent is considered with the low membership roll of PDP. However, one thing going for him is that he has been endorsed by Olu Owerri. He is also financially buoyant and therefore in a position to manoeuvre the situation if vote buying and selling come into play. Again, PDP has just been revived by the candidacy of Atiku Abubakar. He is therefore likely to benefit from atikulation menia, if voters are not meticulous. On the other hand, Chief Mike Nwachukwu of APGA has shown capacity and capability in the course of his campaigns. According to him, “I have a clear knowledge of how federal government projects are conceived, processed and executed”. Coming with a rich education and corporate governance as his core competences, Mike Nwachukwu is also a successful businessman and has distinguished himself as a powerful orator. He has obviously succeeded in deploying his powerful oratory to educate his audiences to appreciate his program for Legislative Activism for Effective Representation. He has continued to receive endorsements and adoptions from groups including Dozie-Mezie Owerri and several political blocks as he explains the detsils of how he is going to work as a senator. It seems that the coming election will be a payback time for Mike Nwachukwu. He has a wide network of powerful connections across political parties. He was in APC and PDP , a former state secretary of APGA for six years. He currently enjoys wide acceptance in Owerri zone. This is expected to pay off in the votes for victory. Barring atikulation menia, rigging and vote buying /selling, Mike Nwachukwu is therefore tipped for victory. Though the incumbent governor Rochas is running on APC platform, it’s obvious that his dainted image arising from his non performance and corrupt government will deny him victory. The battle therefore is between senator Osita Izunaso of APGA and Hon Jones Onyereri of PDP. Senator Izunaso was the immediate past National Organising Secretary of APC and recently decamped to APGA. He is going into the election with a combination of APC and APGA votes. As pointed out earlier, if atikulation menia fails, then Izunaso is tipped to win with votes from APC and APGA supporters. Featuring Distinguished Senator Ben Uwajumogu, a sitting APC senator and **** of PDP, the zone promises to throw up surprises. This is because, Okigwe zone is traditionally a strong PDP base but for inexplicable reasons, threw up Uwajumogu of APC as the elected senator through a by-election. From all indications, the election will be keenly contested because of the influences of former governor Ikedi Ohakim who is running for governorship on the platform of Accord Party and Distinguished Senator Ifeanyi Araraume of APGA. Both gubernatorial candidates are from this zone and are bound to influence the voting pattern in favour of their lackluster senatorial candidates. However, the election is likely going to be a confrontation between Uwajumogu of APC and the PDP candidate. While Uwajumogu’s arsenals include a strong financial base, goodwill from infrastructures he has been able to attract within his short stint in the senate and the APC federal might, the PDP candidate is going to rely heavily on atikulation menia. In any case, Okigwe zone will present a scenario where Ohakim and Araraume will deplete PDP votes, thereby giving Uwajumogu an upper hand. Uwajumogu is also one candidate who will receive support from Abuja. Therefore, all things being equal, Distinguished Senator Ben Uwajumogu of APC is expected to emerge victorious in the election. This election will be a straight fight between PDP and SDP because out of the lot listed by INEC, only two are serious while others sit on the fringe. The two visible contestants are Hon Dan Ikpeazu of SDP and Hon Ikenna Elezieanya of PDP. Dan Ikpeazu, formerly a strong pillar of APGA and an ex legislator is one of the victims of APGA ‘ponzi’ primary elections. As a result of that disappointment, he decamped to SDP. He is a popular politician with a very formidable political structure to deliver votes to him, barring any atikulation. He is also endorsed by some friendly political structures in the constituency. Dan Ikpeazu is banking on these votes and those of his followers in APGA and SDP. Unlike Dan Ikpeazu, Hon Ikenna Elezieanya has no political structure. He will be relying on the PDP structure which is currently unreliable owing to decampments. He may however overcome this challenge by default of atikulation menia. In any case, if votes will count in the coming election in Owerri Federal Constituency, Hon Dan Ikpeazu is sure to win. Ahiazu /Ezinihitte Mbaise federal constituency. This federal constituency will witness PDP slugging with APGA. From all indications, the candidate to watch here is Dr Marcelli Oguh of APGA. Dr Oguh is a UK based Chartered accountant, a tax Consultant, a successful businessman and philanthropist who is popularly known as the man who thinks for his people. He has singlehandedly provided Mbaise people virtually all aspects of infrastructure. These include schools, hospitals, roads/drainage, electricity power, water and fully furnished civic centres. In addition to all these, Dr Marcelli Oguh has personally bankrolled hospital bills of the needy in his constituency, including the restoration of sight to a blind girl. Not only these, the APGA candidate is known have offered scholarships, equipped schools with libraries, furniture, ICT centres, etc. Kinsmen of Marcelli Oguh are in agreement that he has shown capacity and capability to represent them, going by his rural development strides as a private citizen. It is therefore unarguable that Marcelli Oguh has dazzled his opponents. He enjoys a high level of goodwill and this is bound to translate to votes that will give him victory. Marcelli Oguh is therefore tipped to win, barring any atikulation menia or rigging. Aboh Mbaise / Ngor Okpalla federal constituency. The political mood favours Ngor Okpalla since Aboh Mbaise has occupied the position for three consecutive terms. Ngor Okpalla is occupying the seat for the first time in the person PDP Bede Eke and he is in the race for a second term. This makes it obvious that parties which field candidates from Aboh Mbaise have no chance under normal circumstances. Now, of other parties which are fielding candidates from Ngor Okpalla, APC is the only notable party with Okenze Blyden Amajirionwu as the flag bearer. Though a strong politician, Okenze Amajirionwu will find it difficult to reap the support of his people because of public ill feelings towards his political platform, APC. On the other hand, Bede Eke has a lot going on in his favour now. He is a team player, easy going and in the good books of PDP and Ngor Okpalla people. With an overwhelming support anticipated from Aboh Mbaise, the home base of the PDP guber candidate, Emeka Ihedioha, the current atikulation menia and Ngor Okpalla votes, there is no doubt that Bede Eke will eventually carry the day.